Whether you’re a first-time owner or a serious competitor, our horse insurance policy allows you to tailor your cover to suit your individual needs. Select from a variety of optional benefits. 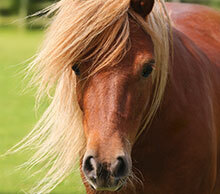 The essential insurance plan for riders aged 5-75 who do not own their own horse. Our fixed-price Rider Plan offers a wide range of benefits to protect you against the unexpected. 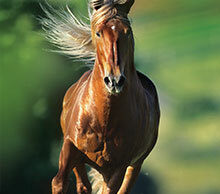 Our veteran insurance policy is for horses aged 17 to 40. Veteran Plan offers a variety of benefits such as: Vet Fees (for injuries), Third Party Liability and Personal Accident cover for both horse and rider. Petplan Equine offers a wide variety of flexible horse insurance and rider insurance policies which cater for all levels of experience from the happy hacker to a polo champion. Petplan Equine is the only horse insurance provider to cover veterinary fees for illness until your horse is 25 years old. All you need to do is take out a policy before your horse reaches the age of 20. We will cover diagnostic and complementary treatment which has been recommended by a vet. Many of our Petplan Equine team are horse owners, riders and enthusiasts themselves so you can be sure that you are talking to a horse insurance provider that speaks your language. We have fixed excesses with no additional percentage to add.